Even if you see all kind of groups on this interface, it does not mean all groups are allowed do execute the corresponding action. For example, an action only available via the back-end such as exporting users will only be accessible for users allowed to log-in on your back-end. 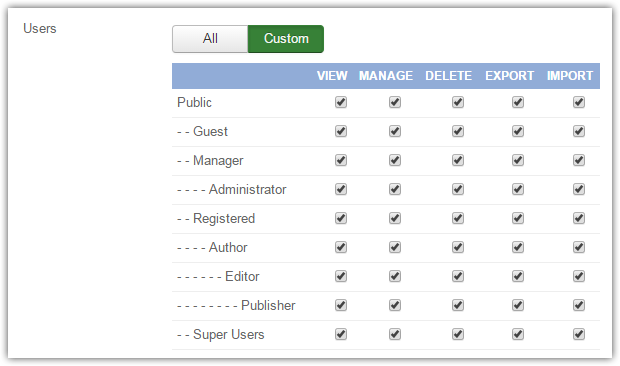 With the "options" button you can access the Joomla ACL manager for the AcyMailing component. 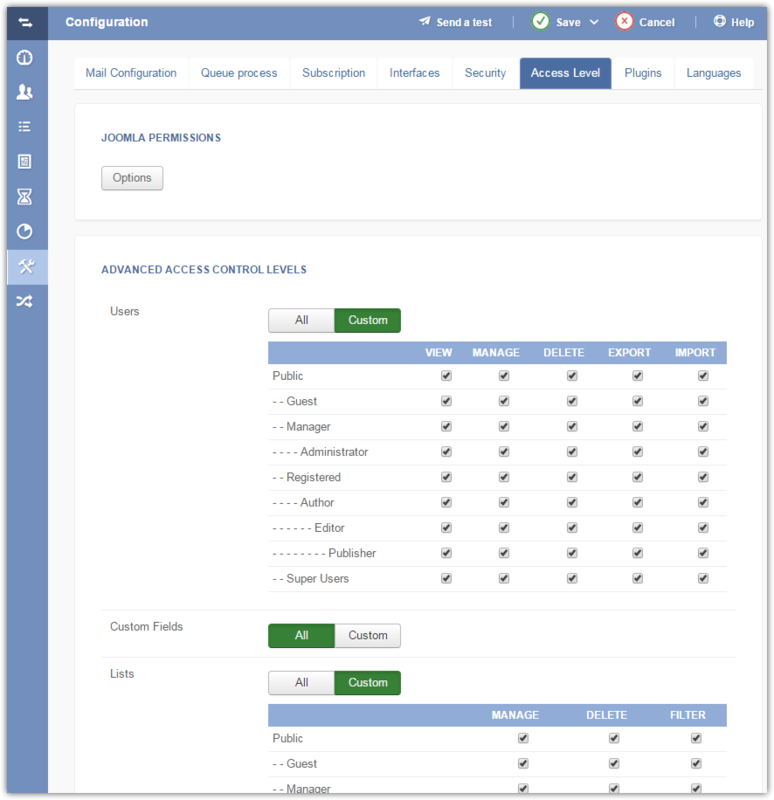 In addition to the Joomla access level management, you can customize almost all the AcyMailing features' access.